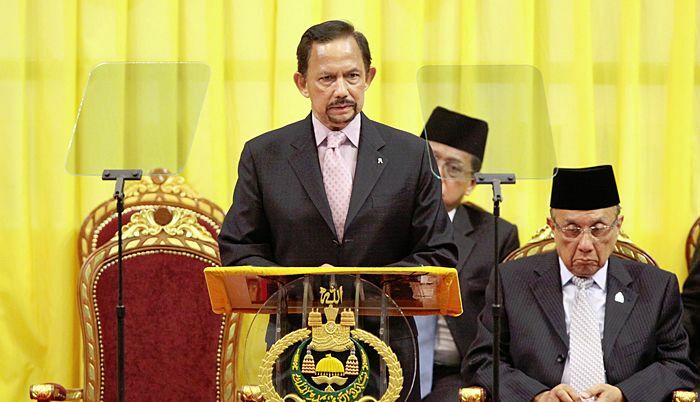 BANDAR SERI BEGAWAN: Brunei’s ruler announced a major shake-up of his cabinet on Tuesday, replacing six top ministers just over a couple of years after they were appointed. The tiny former British protectorate, nestled between two Malaysian states on the island of Borneo, relies on oil and gas exports, but is having to grapple with shrinking state revenue as global energy prices have tumbled over the last few years. “I myself am of the opinion that the time has come for a cabinet reshuffle,” Sultan Hassanal Bolkiah, 71, said in a televised address from his palace. No immediate reason was given for the first cabinet reshuffle since October 2015. It follows the surprise dismissal of the health minister last December. Cabinet reshuffles typically only happen every five years, but Tuesday’s announcement saw several long-serving cabinet members replaced mid-term, including Second Minister of Foreign Affairs and Trade Lim Jock Seng, Energy and Industry Minister Yasmin Umar, and Second Finance Minister Rahman Ibrahim. Other ministers replaced include the education, development and communications ministers. Two women promoted to deputy ministers in the cabinet took on positions in the prime minister’s office and the education ministry. The sultan, the world’s second-longest reigning monarch, retained the key portfolios of prime minister, defense minister, finance minister and the minister of foreign affairs and trade. Once declared the world’s richest man, the sultan has a firm grip on power in the Muslim-majority country of 400,000 people. Brunei does not hold elections but any discontent is assuaged with generous government polices, including zero taxes, subsidized housing and free healthcare and education.